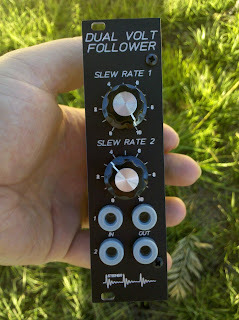 Steiner Synthasystem DIY: Voltage Follower All Done! 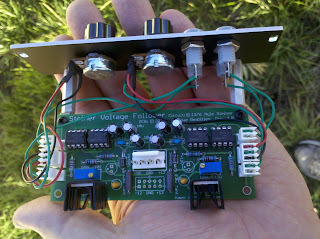 And the last of my first 3 modules to be completed is the Voltage Follower. 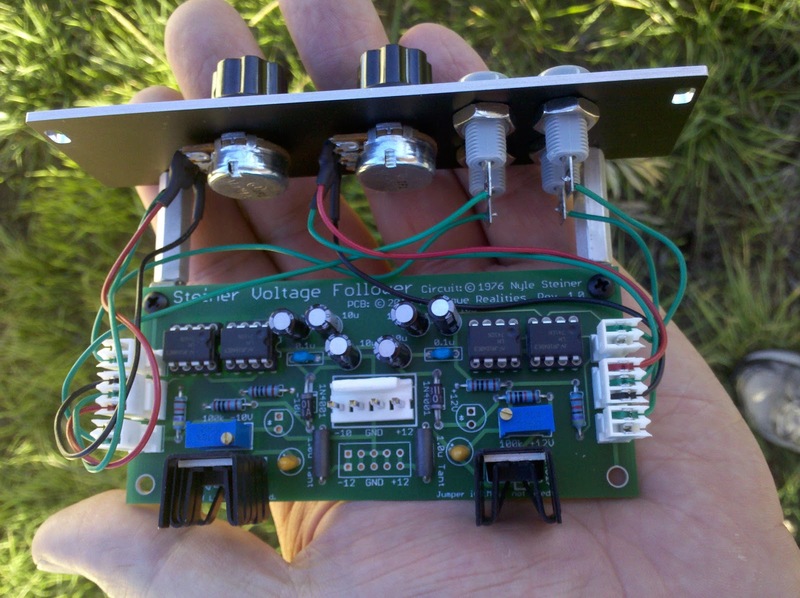 Simple circuit and simple interface. I tested both circuits using the S&H as input, and it worked fine. This is an exponential slew (or lag, portamento, etc.). I don't know why the term "Voltage Follower" was used for that, as I've only seen it used before for a unity-gain buffer. 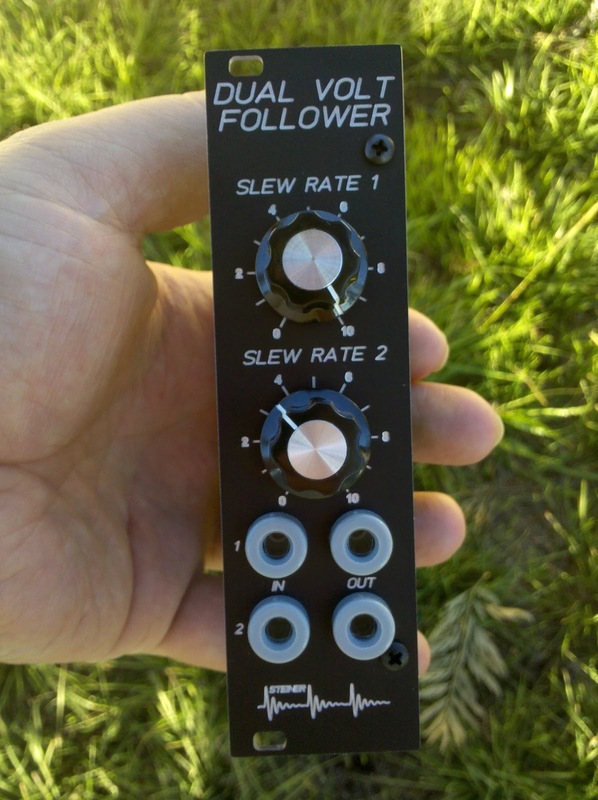 Though, I guess this has four voltage followers in it (more OpAmp buffers than in any other Synthasystem module, I believe). I haven't tried to see what the max lag time is here, since it is obviously a bit tough using random input from the S&H, combined with the exponential response.